Based in the UK, RotaScan offers a wide range of engineering services for myriad industrial sectors including aerospace, instrumentation & control, power generation, automation, inspection and medical devices. A core competency of RotaScan is the use of a range of product development and manufacturing tools combined with decades of expertise to deliver successful projects for its clients. As an independent company that originally was formed to fulfill contracts to the Ministry of Defence and ‘Blue Sky’ research, RotaScan was founded by Jonathan Sullivan, who leads project focused teams that offer a diverse range of skills & capabilities aimed at supporting clients with product development, research, prototyping, testing, diagnostics and pre-production activities. As a result, RotaScan has been involved with many projects from start to finish, but has also been commissioned to apply its expertise when difficulties arise in projects, which they invariably do, in order to find solutions and provide effective short-term support. And, the company is good at it, which has resulted in RotaScan establishing a stellar reputation in this area. The spectrum of services that RotaScan offers includes, but is not limited to, 3D design & solid modelling, mechanical design, Fluid Dynamics, simulation, failure analysis, competitive testing, prototyping, light CNC machining, traditional turning / milling, laser cutting, engraving, marking, and of course 3D printing. Jonathan Sullivan, who leads RotaScan from the front, qualified with degrees in Mechanical Engineering and also Electronics & Systems, has worked across the World with some fascinating companies large and small. For many years he gained experience and insight into many industrial sectors working for a range of Super Industrials, including Renishaw, De La Rue and QinetiQ (previously DERA), in the UK. Additionally, providing consultancy to Oxford, Cambridge and Naples (Italy) Universities, the Ministry of Defence (UK) and the Department of Defense (USA). 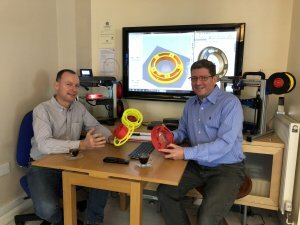 He was able to gain a wealth of experience along the way as new technologies emerged for developing new products and was a seasoned designer on 3D CAD systems for over 20 years. Jonathan has specialised in the field of Agile design philosophy, to very quickly progress concepts, to models, to real commercial products. Without a lot of fuss, cost and delays. 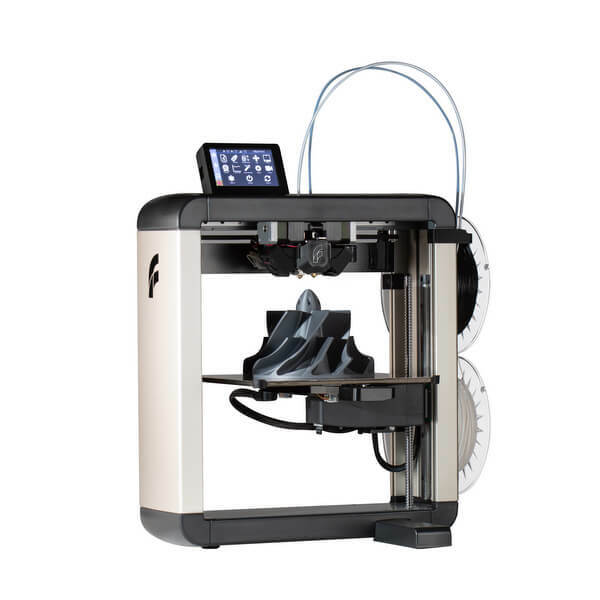 For RotaScan 3D printing is a ‘must have’ tool for its fast and efficient prototyping capabilities. 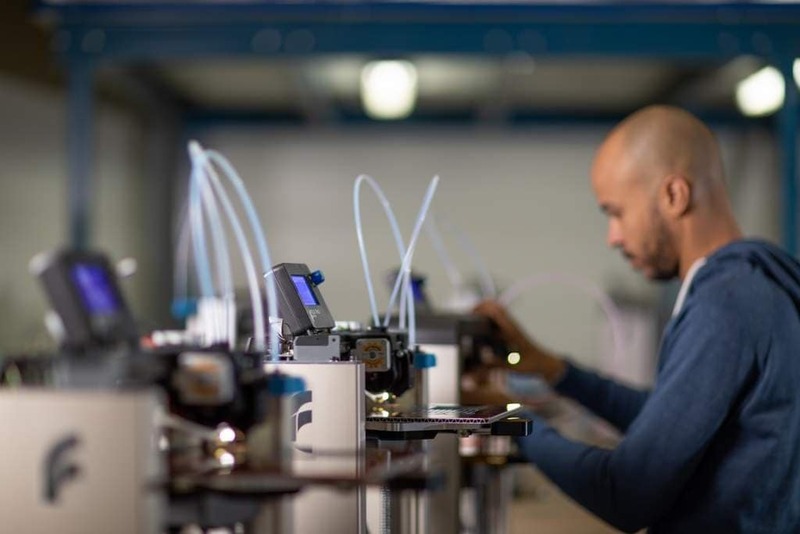 Prototyping, today, remains the largest industrial application of 3D printing technology, and has proved invaluable for RotaScan in this regard. Product development — and all the disciplines that it incorporates — for high value, critical projects typically incur high costs with a raft of risks. 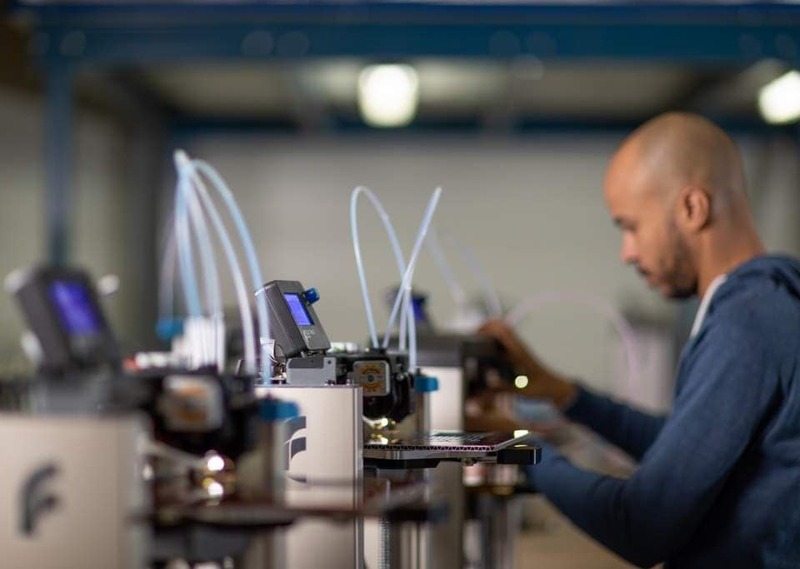 Thus, getting the development of parts and components right and fit for purpose as soon as possible in the product development process goes a long way to mitigate these issues and, according to Jonathan, reliable 3D printing is a key enabler for this in his business. Six years ago, RotaScan purchased its first FELIX 3D printer, and it has been a steady and reliable workhorse since. 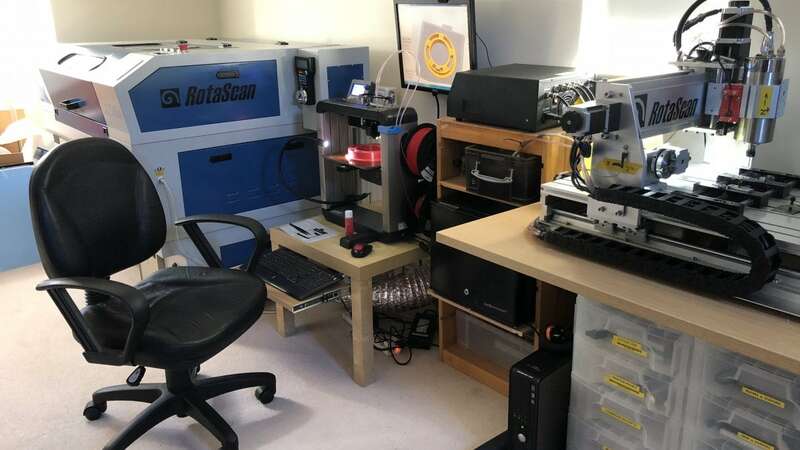 Jonathan describes it as “a go-to tool for working models” Of course, RotaScan operates in the real world, and the company’s workshop utilises a range of other tools as well, but for fast prototypes for physical assessment and testing, it is a fundamental tool. Moreover, the FELIX 3D printer is vital to RotaScan in terms of saving time and money to prove a concept and demonstrate it in the real world through its reliability and ability to cope with ‘difficult’ prints where the machine choice makes all the difference. He continued: “Mechanically, FELIXprinters have considered the full architecture of the system, so that dynamic loads are as light as possible, which is in contrast to cross-gantry machines where one axis carries another axis, multiplying errors and sacrificing performance. 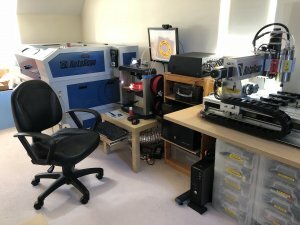 RotaScan has just acquired a second machine, this time dual head in the Pro Series, from FELIXprinters. According to Jonathan: “We’ve held off from dual head printing until now because of many of the issues raised by running two heads that actually work together. 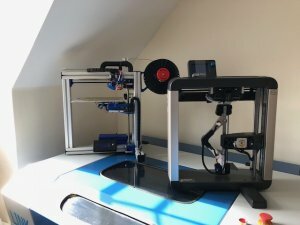 FELIXprinters have designed firmware and the mechanics from the beginning, all neatly integrated in to a coherent system. The new FELIX Pro 2 will be consistently utilized at RotaScan to support its service offerings for Design, Workshop and Lab. The FELIX machines are an important platform in our set of capabilities.